Successfully Added X96 Mini TV Box - 4K Support, 3D Games, 3D Movies, WiFi Support, Google Play, Kodi 17.0, Quad-Core CPU, Android 7.1, DLNA to your Shopping Cart. 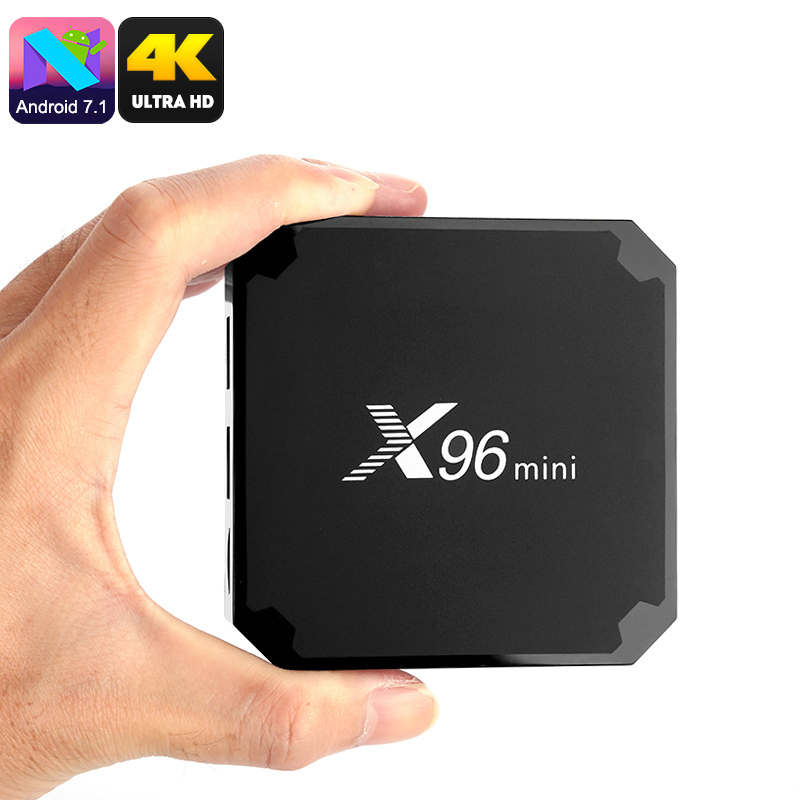 The X96 Mini TV Box truly honors its name by treating you to an extremely miniature and compact Android Media Player. This TV gadget features nearly 8cm in width and length, allowing you to place it virtually anywhere in your home. Despite its small size, your TV box lets you enjoy the latest media. It is capable of tackling Ultra-HD 4K films and series. This will truly enhance your media experience as now you’ll be able to watch your favorite movies and sports games in stunning detail and vivid color. With its Android 7.1 operating system, this 4K TV box lest you enjoy all the trusted Android features straight from your big screen TV. Google Play and Kodi 17.1 provide you with free access to an unlimited pool of games, apps, and more. Thanks to this, you’ll never have to experience a moment of boredom again. Your Android TV box treats you to 8GB internal storage and a 64GB SD card slot. Therefore, you won’t have to worry about running out of memory any time soon. Besides supporting stunning 4K media, your Android TV box also lets you play 3D movies and games. With its Quad-Core processor and 1GB DDR3 RAM, it is capable of handing all basic applications without dropping a frame. To further increase your user experience, it treats you to WiFi connectivity, DLNA, Miracast, and Airplay. Whether you wish to play games, watch series, or browse the web – nothing is too much for the X96 Mini TV Box. The X96 Mini TV Box comes with a 12 months warranty, brought to you by the leader in electronic devices as well as wholesale Android media players..
Good item package with original boxes. Perfect and brand new condition. Very accurate and good performance. The Delievery is very slow. I paid extra in Customs in my country.